Christmas just wouldn’t be Christmas without a mince pie or two, but which ones fill us with the most festive cheer? 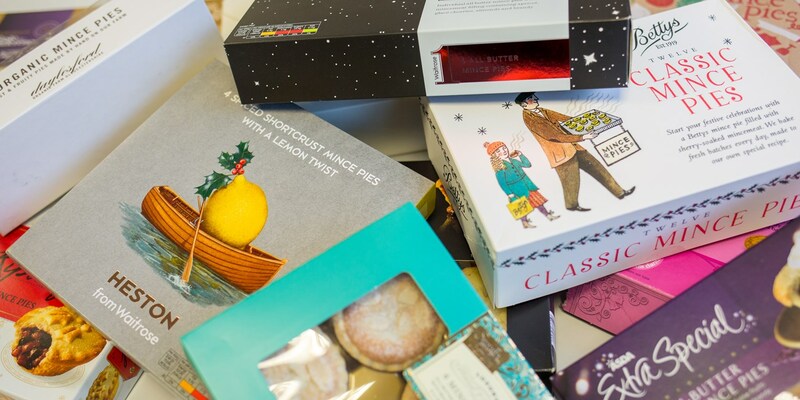 Take a look at which pies our tasting panel deemed fit for Santa himself. While it’s nice to imagine that aspirational scene of spending all day jovially spooning homemade mincemeat into homemade pastry cases, transferring them to the oven and filling the kitchen with lovely festive aromas, in the middle of the Christmas rush it can be hard to find the time. And with the huge variety of ready-made mince pies in the shops, it’s sometimes necessary to stock up on a few boxes for all the parties, estranged family members and other social occasions Christmas brings. After a blind taste test of twelve different boxes, here are the five that tickled our taste buds the most. 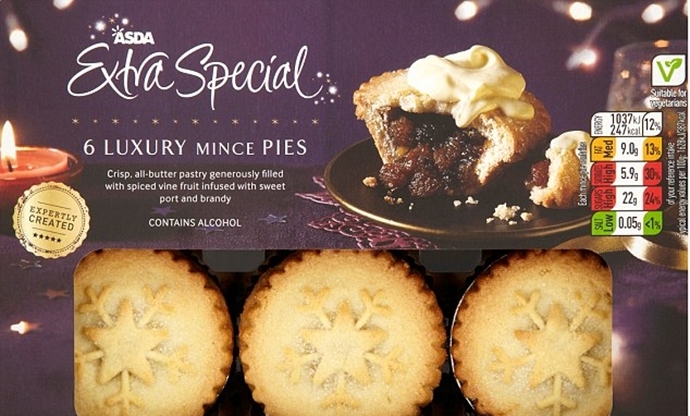 Marzipan haters look away now – Aldi’s taken a gamble and added a frangipane topping to their mince pies. While this ostracised a few members of the tasting panel instantly, those without an aversion to the ground almond filling were big fans of how it contrasted with the fruity, boozy mincemeat beneath. 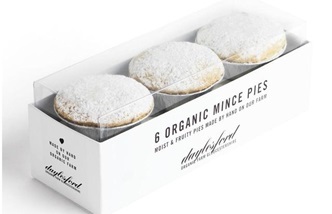 Another company looking to move away from the overly sweet, processed flavour of many mince pies is Daylesford, who have chosen to focus on the lighter, more marmalade-like flavours of Christmas. It’s much less sweet than what you’d normally expect and there’s lots of grated apple inside, which keeps the filling very moist. While we could’ve done with a little more filling, what was there had a good, balanced taste that wasn’t too fruity, too sweet or too bitter. They were deemed the best all-rounder, so would be a sensible choice for a party, and the pastry had a nice crisp texture with plenty of buttery flavour. After a fierce debate over whether these should be included in the taste test (Heston has gone for more of a tart than a pie), they were eventually allowed in thanks to their flavour. The combination of lemon and spice was, as one person described it, ‘Christmas in a mouthful’, and the dark shortcrust pastry was more like gingerbread. 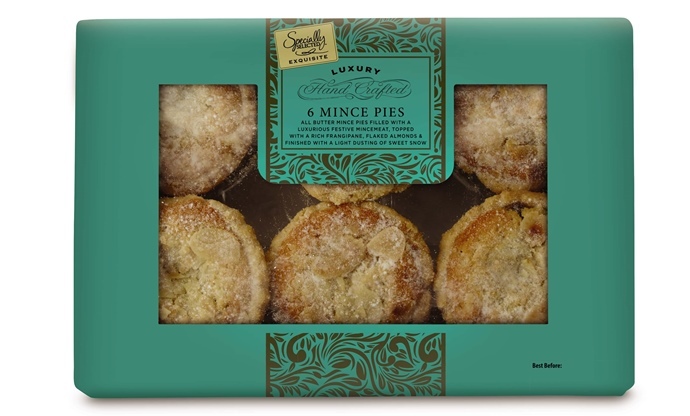 Mince pie traditionalists might see these as sacrilege, but if you want something different they’re the ones to go for. Bursting with citrusy orange flavour and sweet dried fruit, these were universally chosen as the best pies on the table. The pastry was just the right thickness and the thick, rich filling helped prevent it becoming too dry. They might be a little too sweet for some who prefer a more booze-heavy mincemeat, but overall the flavour was exactly what you want from a mince pie.